Steve McKay, an associate professor of sociology and director of the UC Santa Cruz Center for Labor Studies, spent two years interviewing low-wage workers in Santa Cruz county. McKay, along with a team of over 100 UC Santa Cruz undergraduate students, documented problems such as wage theft, no break times, harassment, discrimination, and in some cases, retaliation against workers who spoke out about poor conditions. Interviews, as well as photography, audio and video that McKay and his students captured, can be viewed online at workingfordignity.ucsc.edu. McKay organized a series of events to showcase findings and launch a community dialogue. 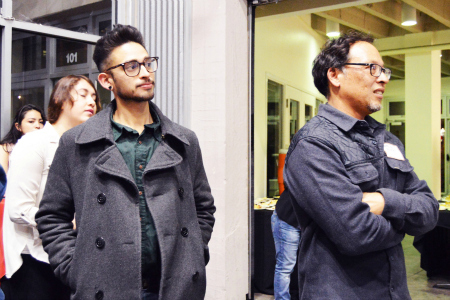 Events included a wage theft clinic at the Watsonville Civic Plaza, a multimedia exhibition at the Santa Cruz Museum of Art and History (MAH), and a community discussion about raising the minimum wage that was also held at the MAH. The project was done in collaboration with the California Rural Legal Assistance and the Chicano Latino Research Center.